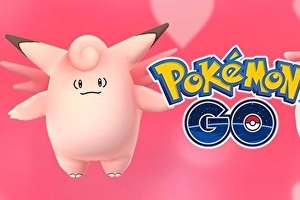 Pokémon Go will celebrate Valentine’s Day with an event full of appropriately pink Pokémon. Chansey, Clefable, Porygon and others will be easier to find in the wild, while the new baby Pokémon Cleffa, Igglybuff and Smoochum will appear more frequently from eggs. You’ll get double the amount of candy while catching, hatching and transferring Pokémon, while Lure Modules will last for a boosted six hours each.